I was very excited when Mike told me at this year’s Tokyo Auto Salon that he was making a return to Formula Drift, because not only is he a fan favorite, he brings a sense of style unlike anyone else on the grid. I had a moment to catch up with Mike as soon as he was finished with Thursday practice ahead of this weekend’s FD Atlanta round. 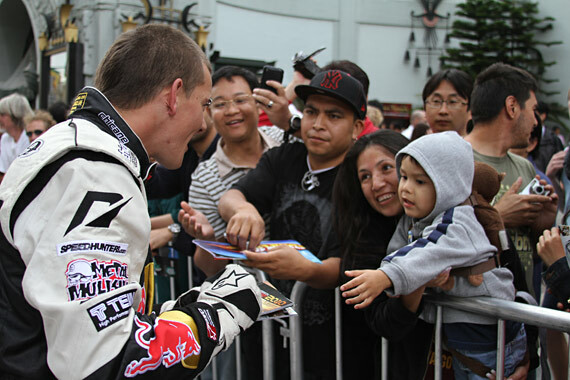 Larry: You just finished open practice – how is your return to Formula Drift going so far? 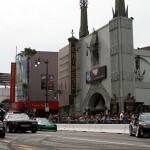 Mike: It’s insane – seeing the speed of all the cars especially! Just watching from the outside, you can definitely see the progression. I’ve been away from Formula Drift USA for five years, and the difference in speed from back then until now is ridiculous. Today is our first time running on a new Nitto Tire NT05 compound, and it feels amazing. Scott from SPD, who used to be Daijiro Yoshihara’s crew chief, has done a lot with setting up our KW coilovers and the rest of the suspension, so we’re really comfortable with the car now. It helped that we took a lot of grip out of the car this morning, but since then we’ve just been fine tuning the setup and I’ve been getting used to the track with this layout, as I haven’t driven it before. As for the speed of RADBUL, it’s pretty scary. I just need to learn the car and get my confidence up – mainly for the initiation and staying on the gas. It’s just that much faster than what we’re used to. Larry: I noticed that when you are going back up the hill, your car is just pouring out smoke like I have never seen before. It’s so cool. Mike: Yeah, it’s actually been a bit of a problem and we’ve had to put wind deflectors in to try and blow the smoke out. Because the cabin of the Miata is kind of like the back of a pickup truck, the tire smoke just gathers inside and swirls around. I’m just really pumped to be back though. The camaraderie between the teams is amazing – it’s like a big family! Nothing comes close to Formula Drift, and I’m just really stoked to be back. I’m not here to break any records on this first season back – we just want to mix it up again, have some fun with the guys out here, and try and learn as much as we can. As I said, the pace is the biggest thing that I need to get used to. I’m just trying to keep up with these guys because the cars have developed so much in the past five years. Red Bull pro drifter Mad Mike Whiddett is making a return to the prestigious Formula DRIFT Professional Drifting Championship Series, with a commitment to multiple events of the seven-round US-based 2015 season and the newly formed FD World Championship. 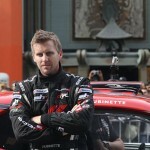 Whiddett had his first taste of Formula DRIFT USA back in 2010 when he drove in select rounds of that year’s championship. In the time since, the New Zealander has enjoyed plenty of success with multiple event wins and podiums in Formula DRIFT Asia and local competitions – but the focus has always been on getting back up to the USA and taking on the world’s best drivers in their own backyard. When we competed in 2010 we were essentially using a modified street car built with mostly off-the-shelf parts, and it was tough going against all the big-budget US teams, many of which had manufacturer backing,” says Whiddett. “After that we knew there was no point in returning until we could do it properly, and all the foundations were in place – the driver, the team, and the car. With Red Bull, Mazda, Mobil 1 and Nitto Tire really getting in behind my Formula DRIFT campaign, it feels like the right time. Integral to the campaign is Whiddett’s new pro-spec machine – a 2015 Mazda MX-5 better known as RADBUL. Over the past few months the convertible sports car has been the subject of a Red Bull video series titled The Making of RADBUL. 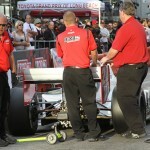 The final episode showcasing the car during its first on track shakedown will be released at the end of April. Despite being an unconventional base in the world of professional drifting, the NC-chassis MX-5 has been highly modified for the cause with factory support from the Japanese automaker. At its heart is a bespoke four-rotor, twin turbocharged Mazda rotary engine that develops in excess of 1,000 horsepower on its most conservative power setting. While four-figure power output could almost be considered a requisite at the pinnacle of this motorsport, it’s only one piece in a much larger puzzle. “It’s going to be a huge learning curve for the whole team, but that’s what this year is all about,” says Whiddett. The biggest disadvantage we have is a lack of data. There’s only limited testing before each round, so having a good setup for each circuit is really important when you’re chasing championship points. Joining Dodgion on the team is New Zealander Warren Overton, whose Wanganui-based company, Pulse Performance Race Engineering, built Whiddett’s MX-5 from scratch, and car builder/driver ‘Rad’ Dan Burkett from RAD Industries in Orange County, California. Burkett’s workshop premises will serve as the team’s HQ between rounds. 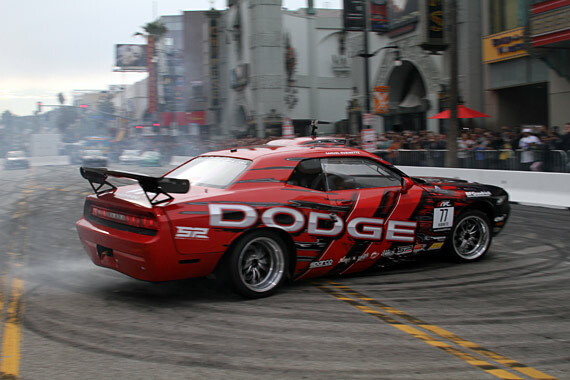 In just two weeks time on April 10-11, the Long Beach GP Street Course will play host to the 2015 Formula DRIFT season opener. The all-star driver line-up is as strong as it’s ever been and Whiddett is under no illusion how tough the competition will be right throughout the Pro Championship ranks. Defending champion Chris Forsberg (USA, Nissan 370Z), 2014 season runner-up Fredric Aasbø (Norway, Scion tC) and third place getter Vaughn Gittin Jr. (USA, Ford Mustang RTR) are all confirmed starters. The challenge is a large and there’s a lot of learning to be done, but according to Mad Mike Whiddett that doesn’t mean he’ll be driving at anything less than maximum attack. It’s been the dream for a long time to get back to Formula DRIFT, and I’m going to be charging as hard as I can all season to get a round win. 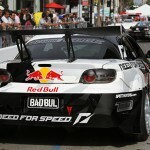 Long Beach, Calif. – March 8, 2011 – Formula DRIFT announces the Formula DRIFT Global Challenge on March 18, 2011. 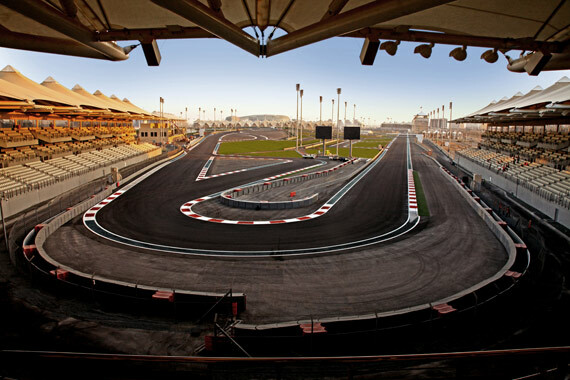 The inaugural event will be held at the Qatar Racing Club in Doha, Qatar. Following the successful Formula DRIFT UAE Invitational event at Yas Marina Circuit in Abu Dhabi, Formula DRIFT will be holding the first Formula DRIFT Global Challenge in Qatar. 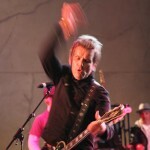 The Qatar Racing Club in Doha, Qatar will host the event on March 18, 2011. Nine drivers will compete, including seven of the top Formula DRIFT Pro Championship drivers: Chris Forsberg, Tanner Foust, Michael Essa, Tony Brakohiapa, Fredric Aasbo, Mike Whiddett and Daijiro Yoshihara. Those 7 drivers will joined by Formula DRIFT Asia Championship stars, Tengku Djan Ley of Malaysia and Kiki Sak Nana of Thailand. 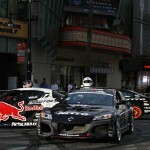 The competition will be in a similar to the 8 car head-to-head format to the UAE Invitational. 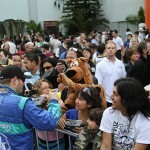 Long Beach, Calif. – January 19, 2011 – Formula DRIFT has announced the official entry list for the Inaugural Formula Drift UAE Invitational Competition at the Yas Marina Circuit in Abu Dhabi, United Arab Emirates on February 25, 2011. 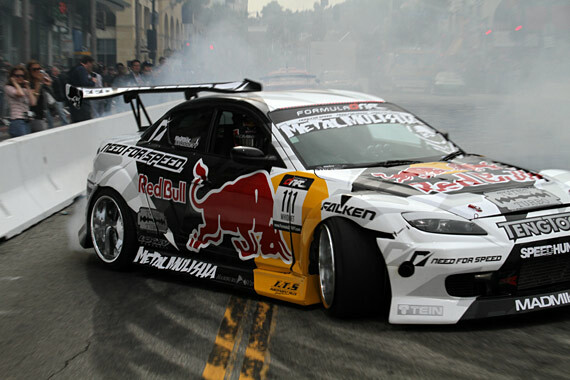 A diverse selection of the top drivers from around the globe will showcase world-class drifting to the Middle East. 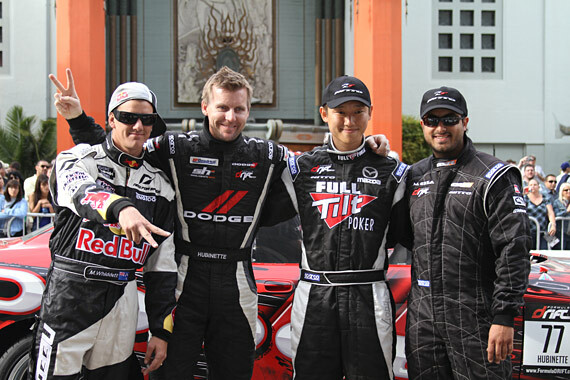 The official roster of drivers include: past Scandinavian champion, Fredric Aasbo, 2009 Formula DRIFT champion, Chris Forsberg, 2-time Formula DRIFT champion and 3-time X-Games Gold Medalist Tanner Foust, top ranking driver, Ryan Tuerck, past New Zealand champion and Formula DRIFT USA & Asia competitor, Mike Whiddett, Formula DRIFT veteran Daijiro Yoshihara and Formula Drift regulars Ken Gushi, and Michael Essa along with Tony Brakohiapa as the alternate driver. 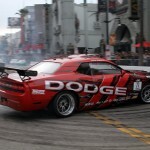 In addition, the event will be streaming live via the DriftStream on www.formuladrift.com. 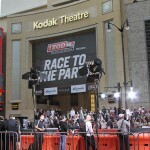 Fans will be able to catch all of the exciting action from the comfort of their own home. 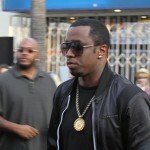 The live stream will air on February 25, 2011. 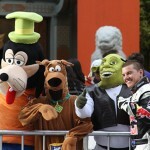 For broadcast times visit the Formula DRIFT website . For those that are interested in attending the live event, online tickets will go on-sale soon and can be purchased through this link – Event Tickets Tickets can also be purchased through the Yas Marina Call Centre at: 800-YAS-(927) or international number at +971 (0) 2 446 0384, which is open 7 days a week from 9 AM – 6 PM, local time. Tickets can be purchased directly at the Yas Marina Circuit at the East and West Entrance Gate Welcome Centre, Yas Hotel, and Ferrari World Abu Dhabi Yas Marina Circuit Kiosk. 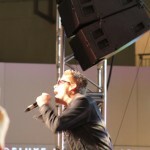 In addition, tickets may also be purchased at select Virgin Megastores within the UAE beginning January 25, 2011. 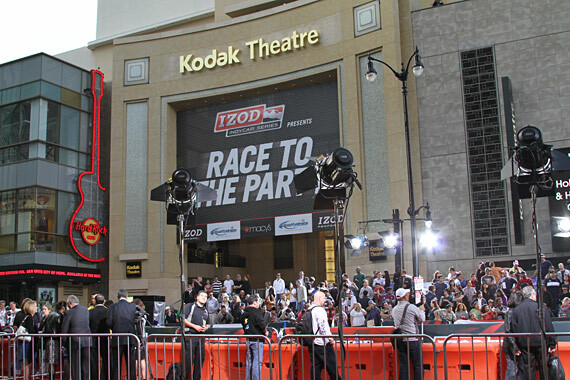 Last night the IZOD Indycar Series invited Formula DRIFT to participate in the “Race to the Party” event in Hollywood. 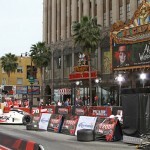 Hollywood Blvd was shut down in front of Mann’s Chinese Theatre and the Kodak Theatre and thousands of fans gathered to watch Formula DRIFT vehicles do a demonstration, Indycar pit stop challenge, and a special performance by Camp Freddy. The fans were blown away by the drifting action of drivers Joon Maeng – Full Tilt Poker / Nitto Tires Mazda RX-8, Justin Pawlak – Falken Mazda RX-7, Michael Essa – Nitto Tires BMW 335i, Mike Whiddett – Need for Speed Mazda RX-8, and Samuel Hubinette – SHR Dodge Challenger.